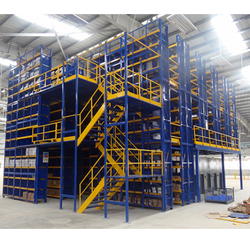 Pioneers in the industry, we offer multi tier storage racks, multi tier rack and industrial two tier racks from India. 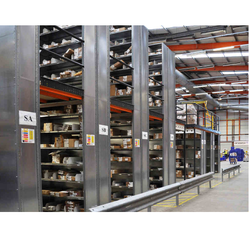 We are counted as the foremost manufacturer and supplier of optimum grade Multi-Tier Storage Racks. 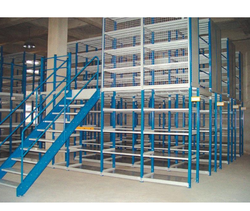 These storage racks are available from us on diverse specification & customized options as per the need of customers. Offered storage racks are developed by our professionals using finest grade material, coupled with modern technology. In addition, these storage racks are valued in the market for their remarkable quality and sturdy structure. For the diverse requirements of our clients, we are affianced in manufacturing and supplying an exclusive array of Multi Tier-Rack. This rack is checked by our quality experts so as to supply a perfect range. Our skilled professionals develop this rack by making use of top-notch material keeping in mind the predefined standards. Our valuable customers can avail this rack from us in varied specifications at industry leading price. We are the leading manufacturer of Industrial Two Tier Racks and our product is made of good quality. Looking for Multi Tier Rack ?